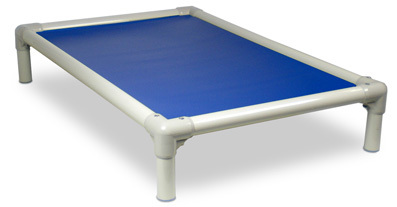 Therian is pleased to offer the Kuranda dog beds to our Australian and New Zealand clients. Kuranda Dog Beds are the only beds made to give soft off the floor comfort and yet be able to withstand daily kennel use. 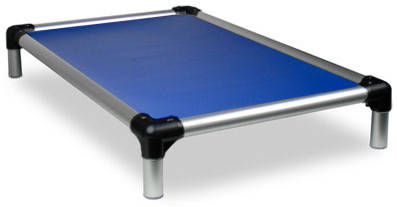 Kuranda beds are made to be comfortable, easy to clean, economical, have replaceable parts, and last for years. 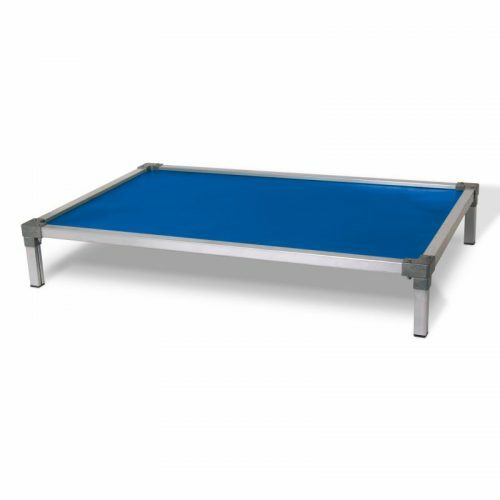 First introduced in 1995, Kuranda beds are used in kennels and shelters throughout the U.S. and Canada plus eight other countries: Australia, United Kingdom, Ireland, Bermuda, Hong Kong, Portugal, United Arab Emirates, Singapore, and New Zealand. “Chew proof” design: Kuranda beds are made with a sturdy frame which actually prevents dogs from getting a direct bite on the weight supporting fabric. Tired of replacing fabrics on your existing beds? Over buying cheap dog beds that simply don’t last? Wanting a comfortable, orthopedically designed bed for your dog? Orthopaedic, supportive, chewproof dog beds with an average rating of 4.73 out of 5 over 1900 reviews. Our unique design hides away vulnerable edges that provoke ongoing chewing, all parts are replaceable.All beds comes with a 1 year chewproof warranty.